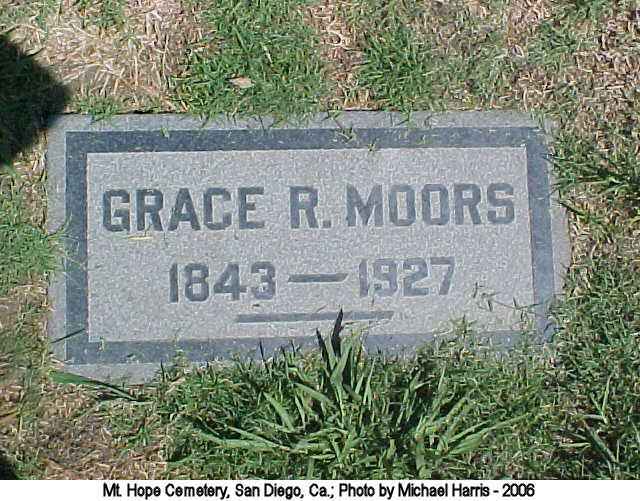 Grace Moors was my Great Great Grandmother, married to John Moors who passed away in Hamilton, Ontario in 1914. Once widowed, something brought her to live with her daughter, Rose, and her husband, Harry, in San Diego, California. 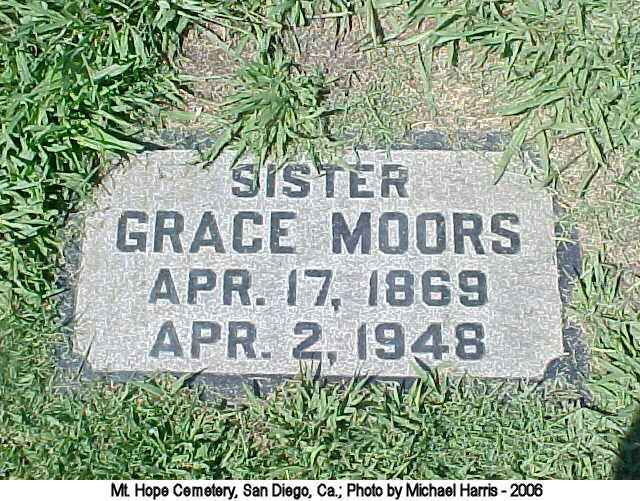 Her final resting place was to be Mount Hope Cemetery in San Diego. I haven’t heard any stories about her or John, so would enjoy any narratives that my readers have to share. Grace Rebecca was born to William Porter and Mary Franks on 12 December, 1843. In 1861, at the age of 18, we find Grace as a servant to the Hunt family. I have no idea how long she was in this position, but she met and married John Moors in June of 1869. Edward Hunt was directly linked to the watchmaking industry in Finsbury. The following, from Finsbury: Past, Present, Future in aReport for EC1 New Deal for Communities compiled by Dr David R Green, King’s College London, May 2009.
industries from the 18th century was watchmaking. From The British Colonies: Their History, Extent, Condition Volume 3 by Robert Montgomery Martin. June 27, 1869 saw the marriage of Grace to John Moors at Christ Church in Southwark, London, England. She was 25 years old. 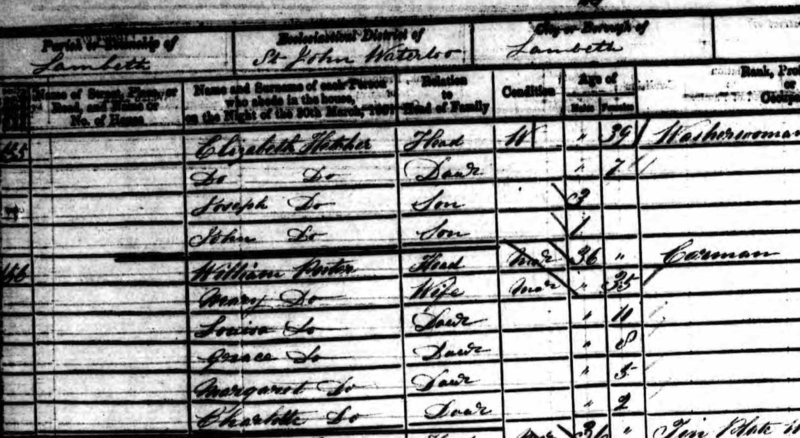 The 1871 Census finds Grace and John with baby Grace, living at 38 Commercial Road and he is listed as a Wood Sawyer. This is a print from app. 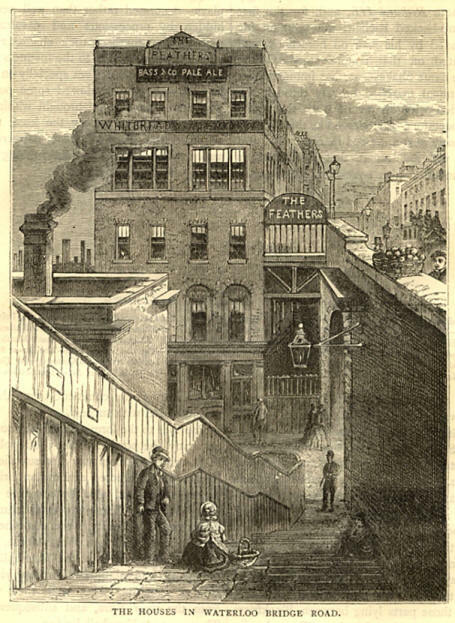 1880 of 75 Commercial Road. Just before the 1881 census, it is evident that John and Grace are living with their children at 42 Princes Street in Blackfriars. John is listed as a grocer. May 6,1878 Courtroom Drama: My Family! 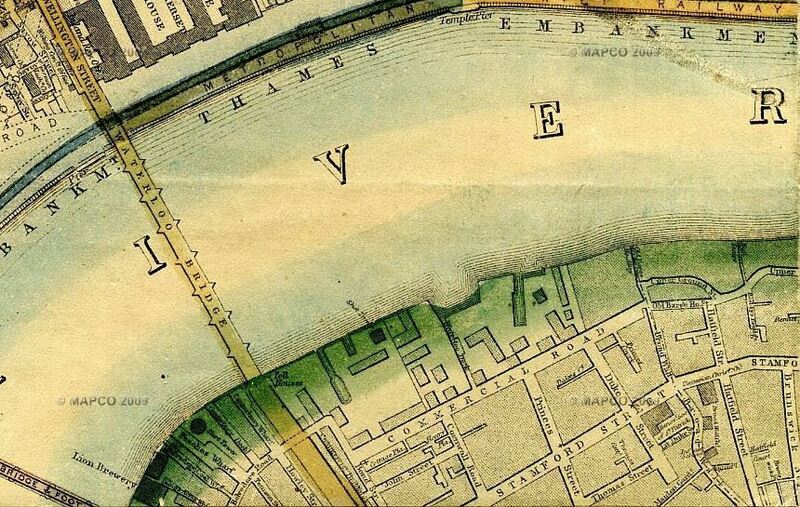 Just recently, I’ve learned that my ancestor, John Moors and his wife, Grace Porter, lived at 42 Princes Street at Stamford Street in Blackfriars, London…this would also be known as Lambeth. This link reports that this very location has been renamed Coin Street. This first appearance of a change in name came in 1912. 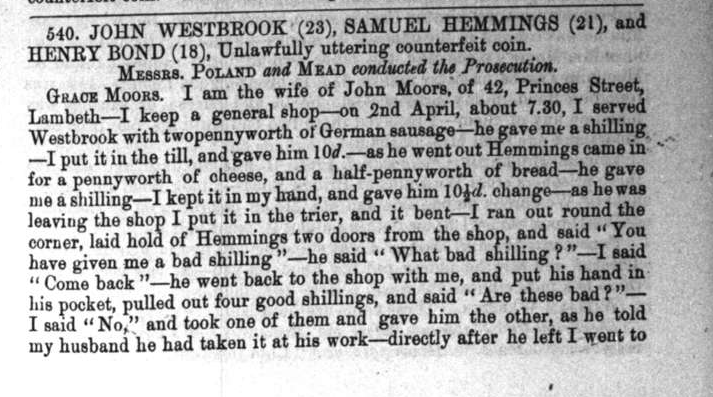 By some miracle, my ancestors’ misfortunes became my good fortune, in that only minutes ago, I located, in full transcript, an incident that brought my family members into a court room in 1878. 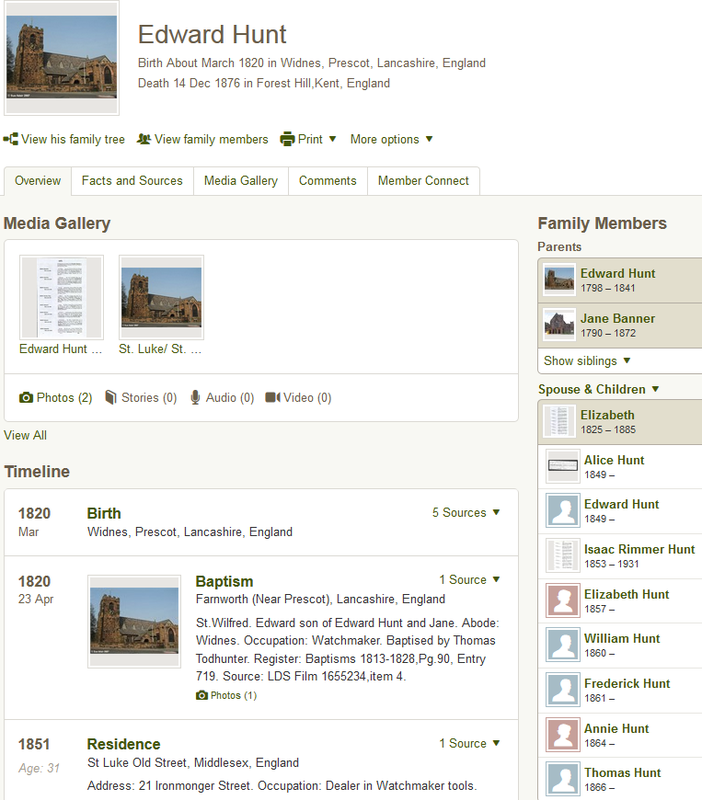 How often does a descendent have opportunity to read their ancestors’ recorded testimony? I am so excited and will, of course, learn so much about my family by looking carefully at this transcript. Thanks to my father’s application for information, I recently read the following records regarding my British Home Child Great Grandfather, John Moors. 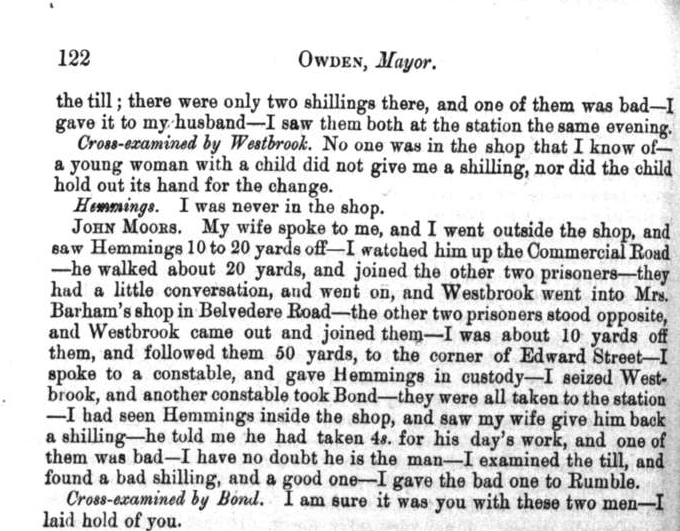 The shopkeeper mentioned here would be my Great Great Grandfather, John Moors. The shopkeeper’s son, John, left Britain on the SS Parisian on 8th of August 1889 and arrived in Montreal/Quebec on 16th of August, 1889. He was 13 years old. Here are the pages from the court case of so many years ago…(All material is made available free of charge for individual, non-commercial use only.) Located at The Proceedings of the Old Bailey: London’s Central Criminal Court, 1674-1913. 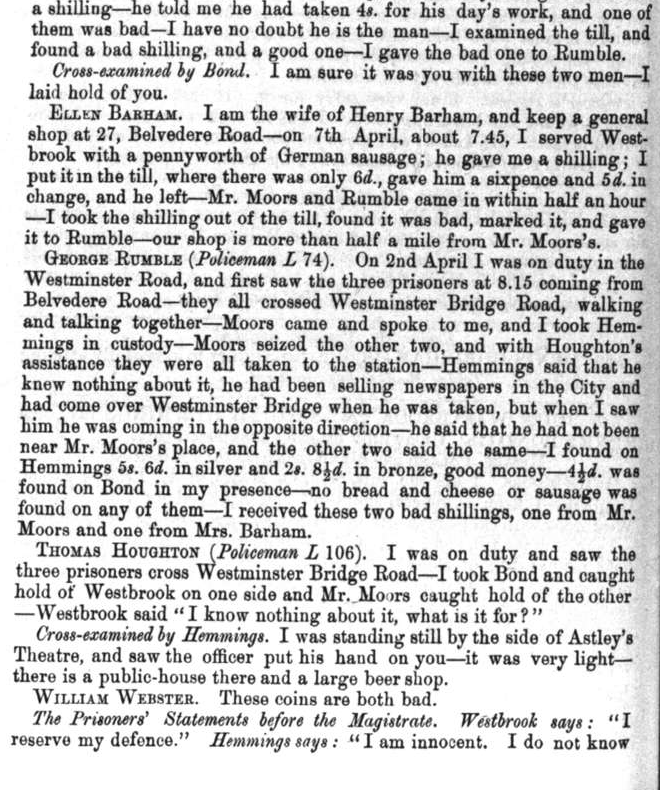 Old Bailey Proceedings Online (www.oldbaileyonline.org, version 7.0, 16 February 2014), May 1878 (t18780506). At the age of 13, Grace’s son, John, heads for Canada on the Parisian as a British Home Child. Grace was baptized as an adult at St. Andrews Lambeth and at the age of 39 in 1883. Again, her address remains 42 Princes Street. 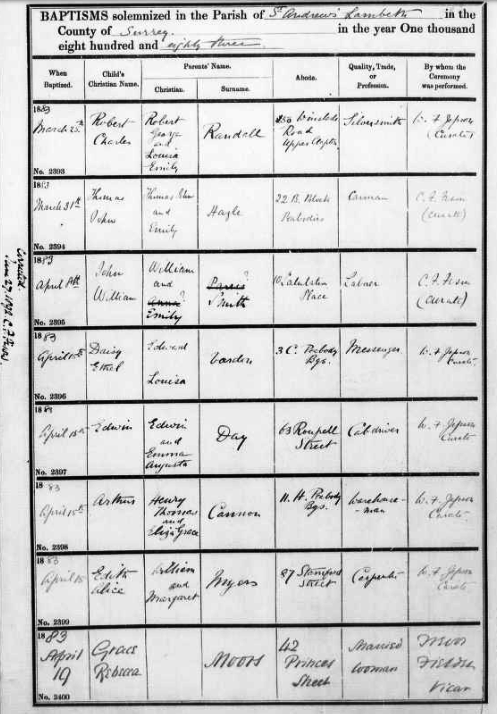 On the 1891 census, Grace and her husband are still living at 42 Princes Street with Ada, Alice and Rose, but two of their children…John is in Canada and Grace is a servant to a widow, Francis H. Lee, in Middlesex. By now, Grace is 48 and her husband is listed as having a general store. There are four others living at the address by this time, reflecting the difficult times ahead for all. The girls are on page 44 of the same census. 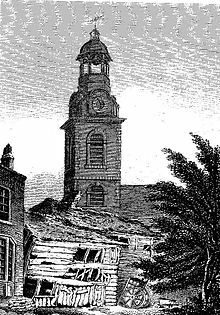 Her husband, John, makes several voyages across the Atlantic as they relate to settling their children and as was required by St. Andrew’s Church in Lambeth. I’m not certain WHAT the association was that John had with Annie Macpherson, but I know that there was some sense that he was doing ‘good’ by assisting in accompanying large groups of children to Canada. I have to think that what he was really hoping for was opportunity for his own children. Grace must have been a woman of much fortitude because she likely ‘held down the fort’ when her husband went on these journeys. I’m still not certain if her daughter, Alice, suffered mental illness for her entire life or if it had its onset later in Canada. Finally, the family leaves Liverpool, England together 1899 on the Dominion, arriving in Montreal, Canada on the 9th of June. 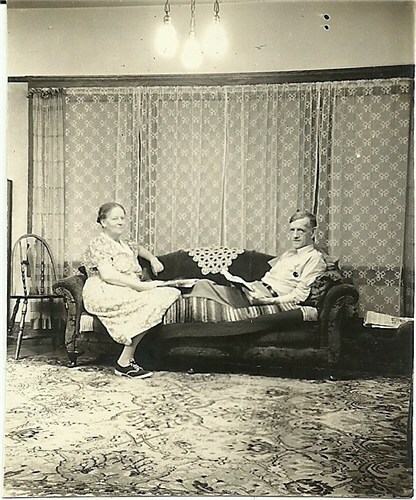 In the 1901 Canadian census, we find Grace’s son, John, living with her again at the age of 24. In the end, the family is located in Hamilton, Ontario until John dies in 1914. 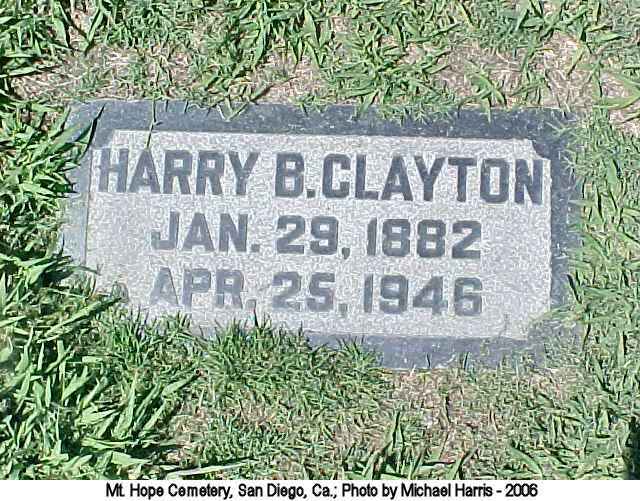 Something entices Rose and her husband, Harry Clayton, to move to San Diego, California. Grace, as well as her daughters Grace and Alice, make the trek with her or join her later. 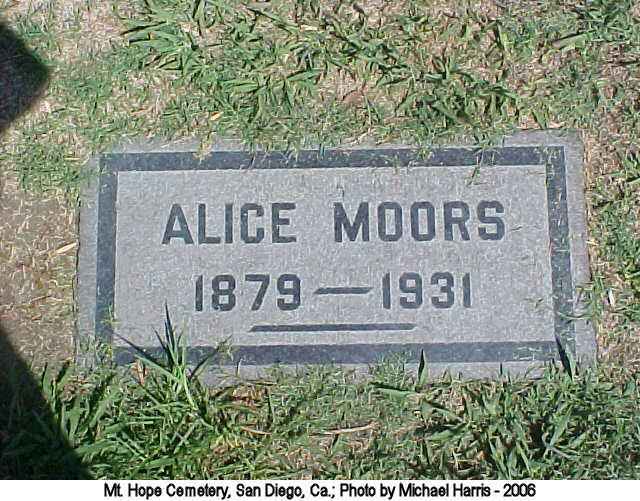 She lives out her days near family and dies at the age of 84 in 1927. I will continue to add research, but really hope to hear from you, especially where it relates to the reasons why this family traveled so far west.